Yet another troll-fighting 11-year-old Orthodox Jewish girl! 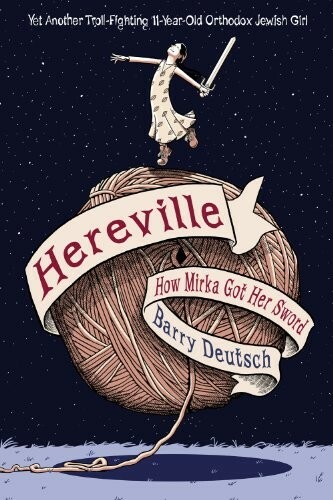 Spunky, strong-willed eleven-year-old Mirka Herschberg isn't interested in knitting lessons from her stepmother, or how-to-find-a-husband advice from her sister, or you-better-not warnings from her brother. There's only one thing she does want: to fight dragons! 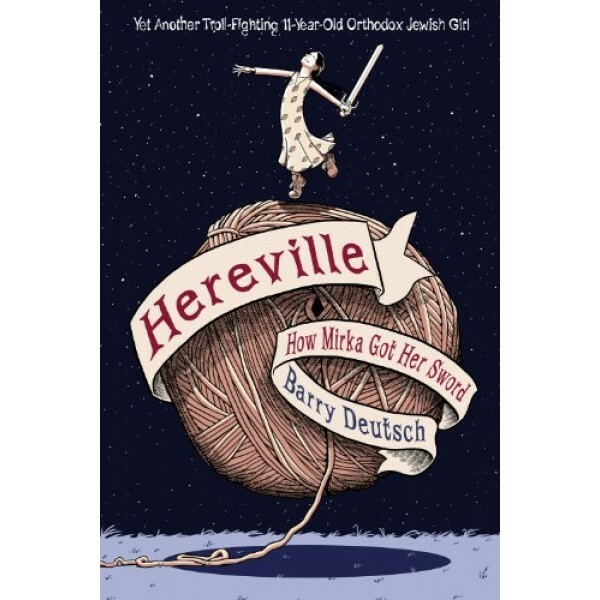 Granted, no dragons have been breathing fire around Hereville, the Orthodox Jewish community where Mirka lives, but that doesn't stop the plucky girl from honing her skills. She fearlessly stands up to local bullies. She battles a very large, very menacing pig. And she boldly accepts a challenge from a mysterious witch, a challenge that could bring Mirka her heart's desire: a dragon-slaying sword! All she has to do is find and outwit the giant troll who's got it! “Mirka is the heroine that girlhood dreams are made of: questioning and smart and willing to take on the world. She constantly battles wits with her stepmother, Fruma, whose argumentative nature and sharp nose conceal a warm and caring nature. Readers view the image of Mirka's deceased mother, who continues to play an influential role in her life. The child, stuck at home with knitting needles, longs to wield a sword and do battle with dragons. Instead she finds herself caught in a battle of wills with a talking pig. That's right: scenes of an Orthodox Jew with a pig add to the humor.